The Husky Heavy Duty Folding Cargo Carrier is constructed of square tubular steel to be both strong and light weight. The cargo area within the 5-1/2 inch raised railing measures 58 inches by 19 inches. 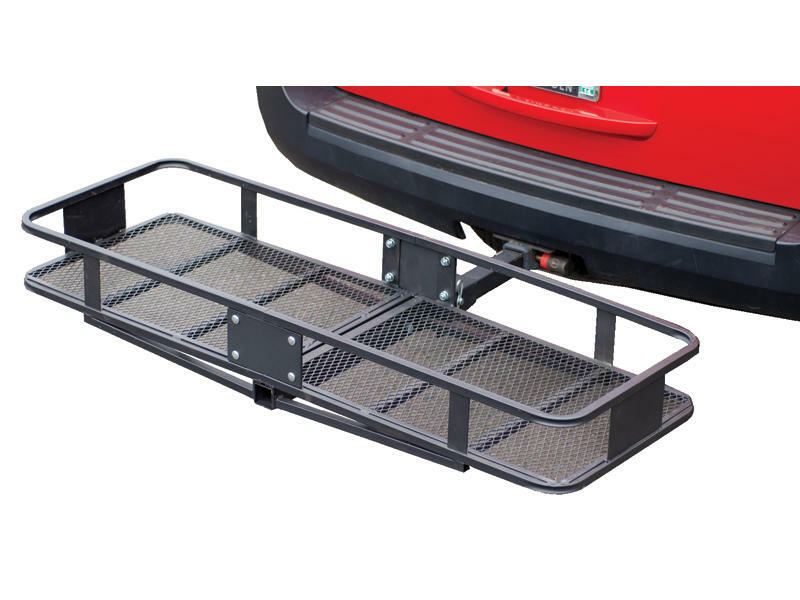 The carrier features a corrosion-resistant powder coated finish and a mesh floor for easy clean up and folds up on the back of the vehicle when not in use. Rated 500 lbs. capacity. Fits 2 inch receivers.